These two free online tools and resources can help you manage and grow your business. Each offers a premium (paid) version as well as a free one. The free version offers most everything a needed to get started. For some, the premium or paid version may be needed. But, for most small businesses, the free version may be all you’ll ever need. For those who take full advantage of what each resource offers, over time you may find the premium version is needed. Buffer is a social media management tool. It easy to use and lets you schedule, publish and analyze your social media posts in one place. It is available on the social networks shown below. 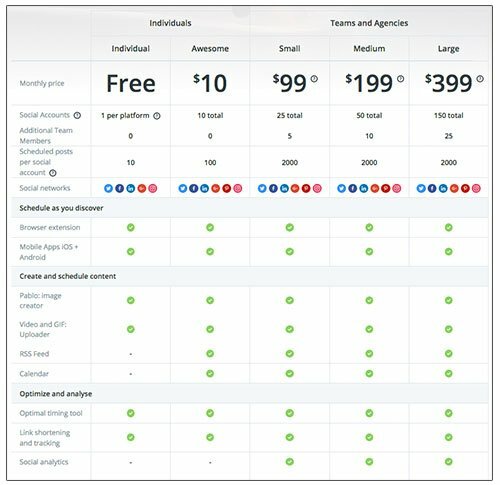 Buffer offers free and premium pricing options. The free version is a great way to get a sense of how the platform works. What I love most about Buffer is how easy it is to learn and how simple it is to use. Create a unique schedule for each social network. You can set custom times for specific days and networks.For example, Mondays, schedule content to post to your Facebook Page at 11 am and 3 pm; on Wednesdays, at 8 am; on Fridays, 1 pm, and 7 pm. Choose which of your social networks posts should be shared on which networks. Post the same message to all of your social accounts or better yet, add context by customizing each post for each network. Add new content to Buffer as you discover it. Use the ‘Share Next’, ‘Share Now’ or ‘Schedule’ button to tell Buffer when your post should be shared. The ‘Share Next’ button will schedule your post based on the times you’ve set for each social network. Note, while Buffer can be a hugely helpful tool in managing your social media accounts, some actions (like paying to boost content on Facebook) can only be done directly on the social network. MaIlChimp is an email marketing platform that boasts 15 million customers worldwide. This online business tool and resource makes it possible for any individual or small business to create a professional looking email campaign for their subscribers. It also provides a way to create sign-up or subscribe forms for your website and add a signup form to your Facebook Page. The free options available through MailChimp are sufficient for most businesses. If you have fewer than 2,000 subscribers and send less than 12,000 emails per month you qualify for the ‘Free Forever’ plan. Of course, there are some options that aren’t included in the ‘Free Forever’ plan. And for those, you’ll want to switch over to a paid plan. But even their paid plans are affordable for most small businesses. 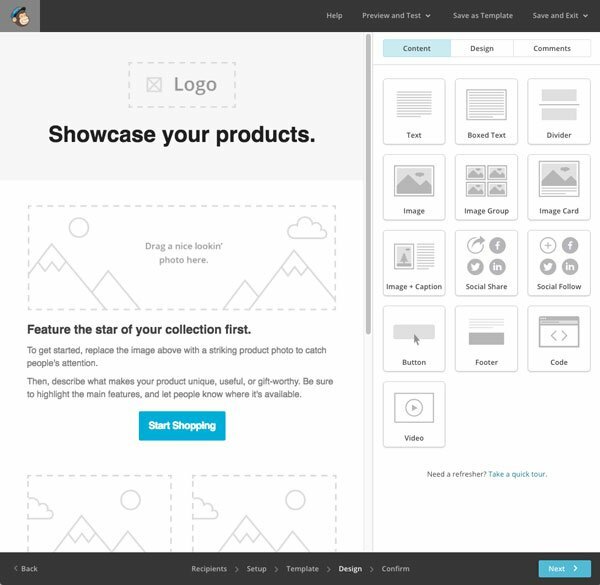 Click here to learn about MailChimp’s free and premium plans. How Difficult Is MailChimp To Learn? The learning curve for MailChimp is not steep. That said, with any online tool there IS a learning curve. However, once you become familiar with the platform, MailChimp is user-friendly. And, there are lots of resources available to help you learn, through MailChimp itself and other online sites. It’s pretty much as easy as typing a question into a search engine for an answer. Getting started with MailChimp is as simple as signing up for an account and following the directions provided. Click on the ‘Lists’ link in the top navigation menu. Choose ‘Create List’ and add list name and other information requested. Click on ‘Add Contacts’* and from the drop down list ‘Add a subscriber’ or ‘Import contacts’. Add an individual or import a list of them ( using .csv or .text file, copy/paste from .xls or .xlsx, etc.). Choose the fields you want to have available in MailChimp (First Name, Last Name, Email, etc.). * You can also create a signup form for your website in the Lists area. Click on the ‘Campaigns’ link. Click on the ‘Create Campaign’ link. Give your email campaign a name. Choose your ‘Campaign type’ … ‘Regular’ and a good place to start. ‘Choose a list’ to select the List of recipients your email should go to. Create a name for your email campaign, a subject line, from email address, etc. 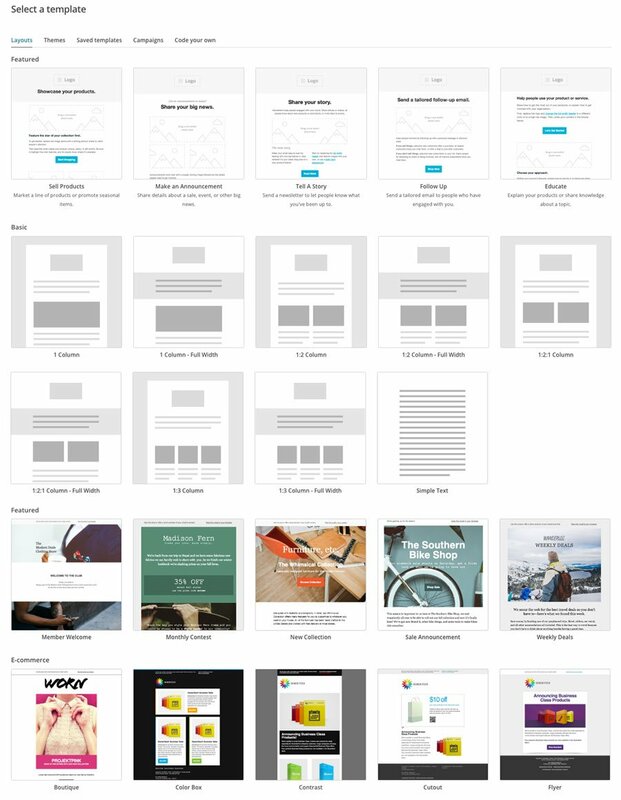 Select a template, a predesigned layout, or choose your own. Add your text and images using the drag-and-drop interface. Preview your email and send a test before confirming and scheduling. Confirm and schedule email campaign. The above is a general overview of the steps only. For a more in-depth overview of creating your Lists and Email Campaign, MailChimp has put together a ‘Getting Started’ page with text and short videos to help you navigate through the process. Each recipient on your MailChimp list is hidden from all the other recipients. MailChimp delivers a completely separate copy of your email to each recipient, so you can personalize your content for everyone. This includes adding a personal salutation to each individual email! Once you’ve named your email Campaign type (step #4), look for the ‘Next’ button in the bottom right-hand corner of your screen (desktop) to navigate forward in the creation process. When creating your email using any of the MailChimp templates, at the top of the email you’ll see “Use this area to offer a short preview of your email’s content.” Be sure customize this text with a preview of what your email is about. When you ‘Confirm’ your email before sending or scheduling, look for ‘Plain-text email’ and be sure to click ‘edit’ and then ‘Regenerate From HTML’ if you’ve made any changes to your text after a first save. If you don’t do this anyone receiving their email in plain text will get the last saved version of your email and not the latest saved version. Be sure to customize the social network links at the bottom of the template with your social links. If you’re not on social media, delete the icons.